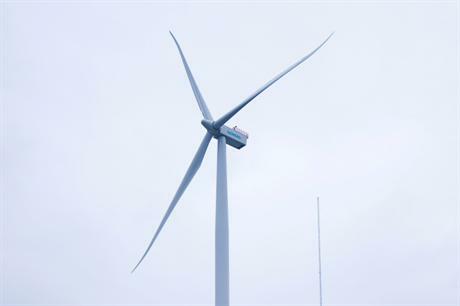 GERMANY: Turbine installation at the 312MW Borkum Riffgrund will be delayed by a "few weeks" after manufacturer Siemens admitted to manufacturing problems, but the commissioning date will not be affected, it said. The German turbine manufacturer was set to supply 77 4MW turbines to the project in the German North Sea, being developed by Danish energy firm Dong Energy, with delivery due to take place this month. Despite the interruption, Siemens said the commissioning of the project, planned for the first half of 2015, would not be affected. Dong also said the project was still within its time schedule and would not be delayed. Delays in the manufacturing process were to blame for the hold-up, said Siemens: "During the ramp up of serial production of this turbine, we experienced some limited delays in the manufacturing process. "As a consequence, the start of the installation phase of the turbines at the project site will be delayed by a few weeks. "We expect to meet the overall project schedule for Borkum Riffgrund 1. The commissioning date of the project is planned for the first half year of 2015. "In close cooperation with our customer Dong, we are currently looking into all opportunities to mitigate the impact of the delayed start of the turbine installation phase." The development had originally been set to have Siemens' SWT-3.6-120 turbines installed, for a total capacity of 277MW. In March, Siemens said it would optimise the turbines to 4MW, increasing the project's total output. Foundations at the site, 37 kilometres from the German coast, were completed at the end of July.